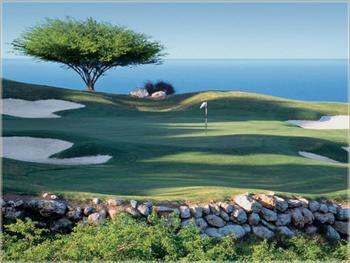 The Jamaican climate, typically tropical Caribbean, is also one of our most appealing attraction. Visitors swarm our shores for the food, the reggae music, the attractions et. al, but others still come just for the warm tropical climate. The weather is generally good here all year round with temperatures ranging in the 80's and 90's farenheit during the day, and around the 70's at night. In the winter months its a bit cooler while the summer tends to be a bit warmer as well-but nothing significant-the climate in Jamaica is beautiful all year-round! Traditionally, the rainy season begins in May or June and extends through November or December- with the heaviest rains in September and October. Rain will however fall at any time of year, and it normally comes in short, heavy showers. 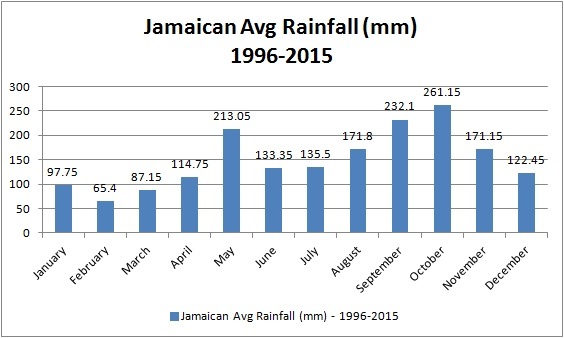 By the way, we are also considered to be in the 'hurricane belt' but few hurricanes ever hit Jamaica. This hurricane season runs from June 1 to November 30 each year. August and September are the peak months. Generally though the climate and weather is splendid all year round! 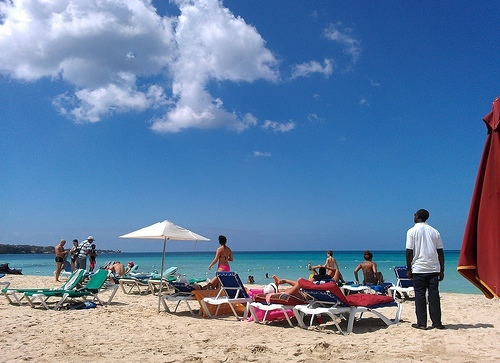 Be sure to read our answer to the question 'what is the weather usually like in Jamaica? ', you'll get some great insights there as well. We have neither summer nor winter, neither autumn nor spring. We have instead the days when the gold sun shines on the lush green canefields magnificently! The days when the rain beats like bullets on the roof, And there is no sound but the swish of water in the gullies, And trees struggling in the high Jamaica winds. Then there are the days when the leaves fall off guango trees and And reaped canefields lie bare and fallow in the sun. But best of all, are the days when the mango and logwood blossoms, And the air is filled the sound of bees and the scent of honey. When the buttercups have paved the earth with yellow stars and beauty comes suddenly, and the rains have gone.